Built on pure passion, the FABY brand was established in 2013, and with over 30 years industry experience, offers a wide range of fashion-forward nail lacquers, lacquering gels, professional treatments and stunning seasonal collections. Already a favourite in top salons, spas and hotels around the world, Faby’s Italian flair is now available for the first time in Northern Ireland! Faby’s latest stunning ‘I’m Faby’ Seasonal Collection is comprised of shades that are inspired by true Italian culture and fashion with an expression of personal style that encourage you to make a statement and live, “La Bella Vita”! 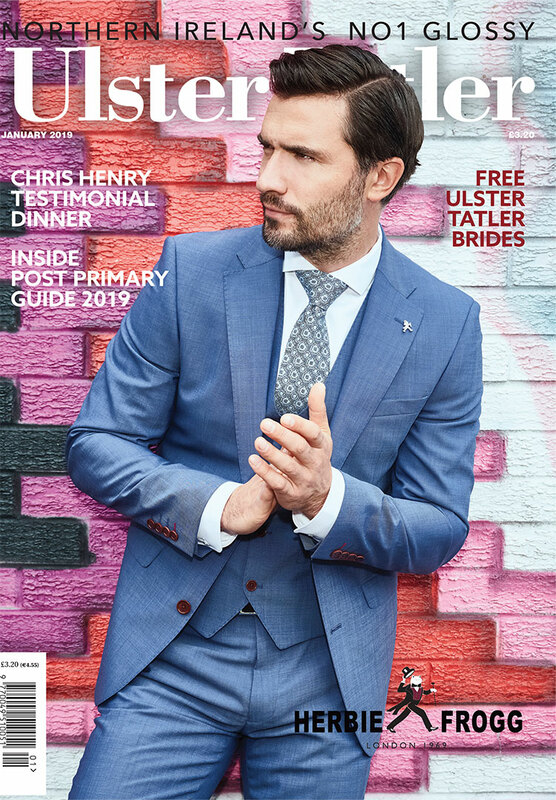 Faby lacquering Gels are the first and only soak-off in the world without TPO (Trimethylbenzoyl Diphenylphosphine Oxide) and redefine the concept of professional gel colour. The FABY colour cult transforms into Lacquering with all of the beauty, wear and quality of gel in a new, safe formula. Faby Nail lacquers RRP £10.95. The team behind the award winning Professional Tanning brand He-Shi, are delighted to introduce the latest innovation in skincare – Collagen Lift™ Paris. Collagen Lift™ Paris is a daily collagen drink that is easily absorbed by the body and has been clinically proven in trials in Germany and France to increase collagen densities, reduce wrinkles by up to 50% and increase skin elasticity and hydration. Collagen Lift™ Paris is further enhanced with Mediterranean seaweed extract and Vitamin C making it a potent source of anti-ageing collagen, minerals and antioxidants. Collagen is a critical component of skin, providing structure and elasticity to keep it looking plump and youthful. With age, collagen breaks down and over time the body’s capacity to regenerate collagen reduces – a double whammy for ageing skin! Collagen Lift™ Paris provides healthy and younger looking skin by working from the inside out. Combined with a personalised professional skincare regime, it actively improves the appearance and long-term health of the skin. By using an SPF based facial moisturiser as prescribed by a skincare professional and making good lifestyle choices such as a balanced diet, both contribute to the effectiveness of the clinically proven results Collagen Lift™ Paris delivers. Collagen Lift™ Paris comes in a user-friendly ampoule to be taken in the morning diluted in water or juice, packaged in a one-month supply and compared to most other face care regimes, is a simple one-step process with incredible long-lasting results. 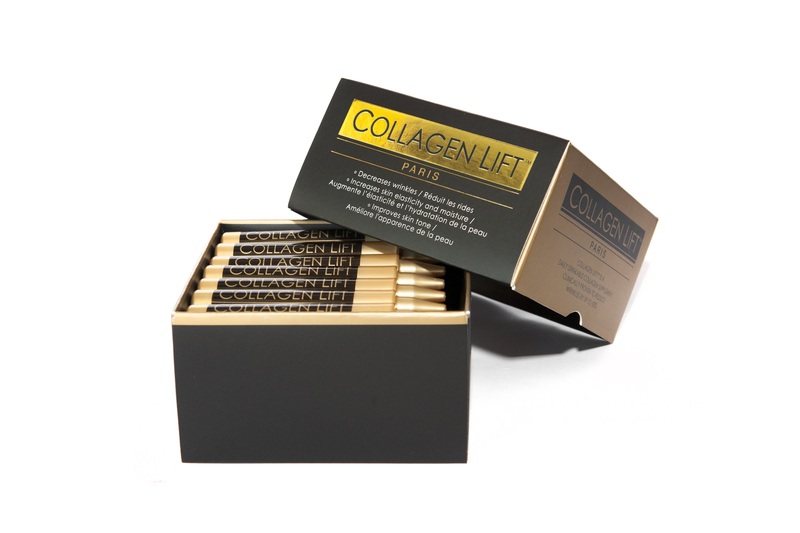 Collagen Lift™ Paris (28 ampoule box) RRP £68.